Porbeagle: The star turn is definitely the Porbeagle. Since 2007 we have moved from an unmanaged fishery to a closed target fishery in the UK (2008-09), and now a zero TAC across EU waters and by EU vessels. Target fishing for Porbeagle in EU waters is now prohibited. I am still seeking clarification as to whether it will be legal to land any bycatch, but a bycatch provision has not been formally allocated. Spurdog: Spurdog have benefitted from a 90% reduction in the TAC with the final 10% to be allocated as bycatch only. The maximum landing length (1m) has been retained which should prevent the temptation of ‘happening’ to bycatch large [valuable] females. Prohibited species: Angel Shark, Common Skate, White Skate and Undulate Ray have all moved from ‘non-retention’ species to ‘Prohibited species’ status, joining the Basking Shark and the White Shark. This means it is illegal to retain, tranship or land these species in EU waters or by EU vessels worldwide. Wild Swimming: an excellent guide to 150 wild swim sites from tranquil lakes to roaring waterfalls, huge jumps and perfect picnic spots. 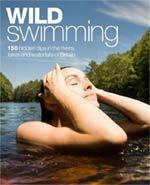 Read more about Wild Swimming. Sharks up close is the ultimate shark trip: run by Doc Gruber from the SharkLab in Bimini the profits from the trip go to helping to run the research at the Lab and to the conservation efforts of the Sharktrust. 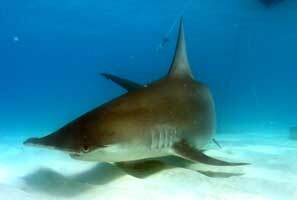 You'll be in the water every day with the likes of lemon, tiger, bull, reef, blacknose, great hammerheads, and stingrays. Click here for more details of Sharks up close 2008. Saving the sawfish is a short film highlighting the threat of habitat destruction on the critically endangered smalltooth sawfish in Bimini, Bahamas. Click here for more details and to watch the film. Many of you have probably already seen this crazy clip, but just in case you haven't here is a link to a freediving with great white sharks video clip. Another trip led by John and Sune Nightingale to Bimini's famous Sharklab. Sharklab is a bit like something off 'the life aqautic' and is home to shark nuts of all kinds and sizes. Sharklab is run by volunteers (shark nuts) and research students (shark nuts doing PhD's) who continue to study the resident population of lemon sharks. A chance to see and swim with many species of shark, hands on experience with baby lemon sharks, tracking tagged sharks and much more. In a series of excellant lectures you will also learn all about shark biology, evolution, morphology, senses, conservation, scientific techniques from renowned shark experts Sam Gruber and Dean Grubbs whose reputations proceed them. There are many southern stingrays around Bimini as well as excellent mangroves - the water and weather are warm (compared to the UK) and there are great beaches - but there will probably be too much shark action that you won't want to drag yourself away from to go sunbathing. This is also a chance to improve your underwater video and/or photography skills. I will be doing 1:1 video sessions to brush up on your underwater video skills and John will be doing the 1:1 underwater photography sessions. There will be an XL1 in a Gates housing to try as well as underwater stills equipment. John (vice chairman of the UK based Sharktrust) will also give a presentation about the Trust's conservation and political lobbying work and how you can help. Bimini's mangroves are currently under threat - find out more at the Restrict Bimini Bay Resort website. Click here to learn more about the trip and for booking information. I am told that there are are still some spaces left on ReefQuest's August shark expedition to Kwa Zulu-Natal, South Africa. This is a shark diving trip combined with research into population sizes, social organization, and body language in Carcharias taurus and Carcharhinus leucas. Sharks 3D is a 3D IMAX film that profiles several shark species and has a very strong conservation message. 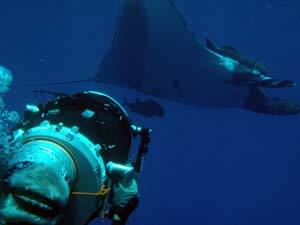 It has amazing sequences of whale sharks and manta rays and is narrated by a friendly turtle. You can read all about it in the next issue of SharkFocus (if you are a member of the SharkTrust that is). I highly recommend this film, plus you get to wear silly glasses! 2 great hammerheads showed up! This trip to Bimini's Sharklab went very well indeed. Lectures by shark expert Sam Gruber and Dean Grubbs went down a treat, as did encounters with lemon shark (adult and juvinile), tiger sharks (adult and juvinile), nurse sharks (adult and juvinile), blacktip reef sharks, great hammerhesds (which I missed out on *?!**!! *), and blacknose sharks. We documented the start of the large-scale development that is planned for the whole of the north end of Bimini and I will be putting together a short film using this footage and stills gathered by myself and the students on the trip. Find out more on the Bimini bay resort page. 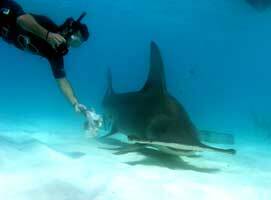 The sharktrust has launched it's latest conservation initiative. Anglers are asked to report on skate and ray catches around the UK. This will give an data on species distribution and population densities. Over a few years this will also give valuable data on population trends and the effects of commercial fishing. From the silt of the Salcombe Estuary to the shores of North Africa. The barely believable history of kidnap, pirates and a trade in British and other European captives, destined for the slave markets of the Barbary Coast. A single shipwreck sheds new light on the fate of more than a million kidnap victims: Europe’s forgotten slaves. CITES Appendix II listings for the Basking and Whale shark! Having failed last year through lack of data this comes as excellent news. Having lost by 2 votes earlier in the week, the UK delegation managed to fight back and secure a 2 vote victory. Appendix II listings mean that any trade in these animals must be tightly controlled and monitored. New legislation will ban shark finning - cutting the fins off the shark and leaving the body - in EU waters and by EU registered boats worldwide. Although the problem of finning is not yet great in EU waters, the potential increase in the shark catch shoudl it be allowed to develop would have been huge. Radio 4, 3 x 30 mins. John Nightingale Takes us on his journey as he investigates the story of 3 wrecks off the Devon coast, each with very different stories to tell about the not so distant past. Presented by John Nightingale, Produced by Tim Malyon, a Loftus production for Radio4. National Geographic channel (UK), 1 x 30 min. Produced by Icon Films for "Out there" series. The program investigates the shark fishing industry around the world as a father and son seek healthy shark populations. Presented by John and Sune nightingale. More info here Also read related articles in the articles section and click here for reviews. A short film highlighting the plight of sharks today. Presented to the EU commissioners, along with a strong petition, as part of the Save Our Shark Bike Ride organised by the Shark Trust. This action seems to have been successful in banning finning in European waters (although we await actual legislation). This film has also been sent to sharktrust representatives, Wildaid, and the Friends of Cocos Foundation (amongst others) for educational use.